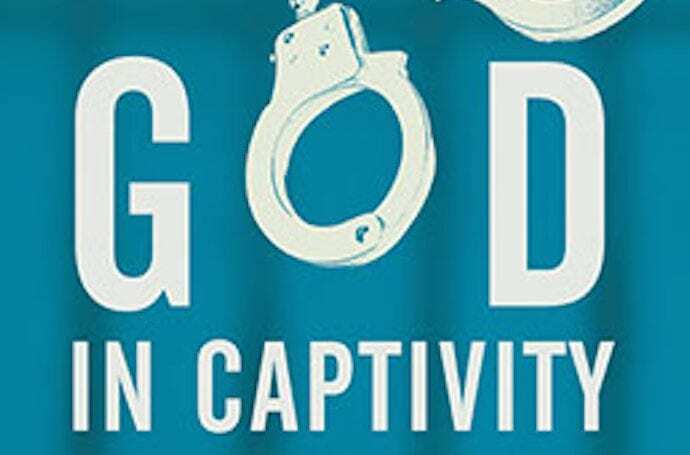 God in Captivity traces how and why faith-based ministries currently flourish in American prisons as part of a broader evangelical prison movement that has been growing since the 1980s. An array of Christian prison ministries, religious volunteers, policy-makers, Republican politicians, fiscal conservatives, evangelical and nondenominational Christians attest to the transformative power of faith to reform prisoners. The logic of evangelical prison ministry has shifted from a law and order approach that viewed prisoners as incorrigible criminals to a focus on individual salvation and conversion of prisoners through becoming born-again. Most faith-based prison ministries assume that redemption occurs only as part of punishment and their idea of freedom is to live a life “with God” rather than to have autonomy outside of prison. Although faith-based ministries understand their work within an individualistic notion of conversion that focuses on reforming the soul, people inside forge networks and community through participation in faith-based groups. At the same time, faith-based ministries have built a carceral church with a system of surveillance, discipline and institutionalization that becomes a justification for maintaining prisons. The book traces how prisoners experience the evangelical notion of “heart change,” how non-Christians, particularly Muslims, fare in prison ministries, the experiences of prisoners trained as prison missionaries, faith-based trauma and counseling groups for women in prison, the personal and theological rationales of Christian volunteers, especially in their understanding of forgiveness, and how the politics of the national conservative coalition for prison reform coincide with evangelical notions of prisoner transformation. Rodney is a third-year student in the Baptist seminary college program at Darrington Unit, a maximum-security prison in Texas. Men receive a bachelor’s degree in Christian ministry from Southwestern Baptist Theological Seminary in Houston after four years of classes. The program occupies an entire wing of the prison, with two classrooms, a library, a computer lab, conference rooms, and offices. Rodney is also one of five Muslims out of close to two-hundred men. Serious, articulate, and thoughtful with deep wrinkles across his forehead, he always yearned to pursue a college degree, but the Texas prison system is quite restricted. Rodney was incarcerated at Darrington at age nineteen and is now thirty-four. When we first met, he seemed stunned to have the opportunity to speak with me. He explained his sense of alienation. “The majority of the curriculum is, I want to say, bashing towards certain pillars of my belief.” The premise of the Darrington Baptist seminary is that men will receive a BA in Christian ministry in order to become missionaries to other men in that prison or in one of Texas’ innumerable prisons or jails. In order to obtain a college degree, Rodney requested a transfer from another Texas prison where he had been part of a tight-knit Muslim community, and his alienation is intense. “I left a beautiful Muslim community that I was raised as a Muslim in, and I miss my brothers very much, you know. I want to go—I do not want to stay here per se.” He says he is toughing it out to get an education. To be a Muslim prisoner in a Texas prison is to exist at the lowest end of the religious hierarchy. As far back as 1969, Muslim prisoners filed lawsuits to make the prisons comply with their religious requirements, such as meals without pork, and permitting them to receive literature about Islam. The state settled in 1977, but in 2012, Texas attorney general Greg Abbott argued that the state should no longer have to abide by that settlement. From 2012 on, the TDCJ regulations stated that groups of four or more prisoners could not meet without either staff or civilian supervision, and could not engage in religious gatherings for more than one hour a week, except with those same stipulations. In an opinion in 2014, the Judge in the case wrote that “the TDCJ knowingly adopted a policy it knew would impose requirements on Muslim inmates’ religious services that could not be satisfied by volunteers or overcome by Muslim inmates.” By contrast, he said, the TDCJ illegally favored Christian inmates because there were ample civilians and chaplains of that faith in the state to conduct services in prisons. (There are only five imams employed by the Texas prison system’s 111 prison units.) The TDCJ seemed to target Muslim prisoners in particular: Jewish and Native American prisoners were intentionally grouped at the same facilities to enable them to practice their religions, unlike Muslim prisoners, who were separated. In a prison system that no longer offers even the pretense of rehabilitation, faith-based programs allow massive numbers of Christians to enter and proselytize to those desperate for a lifeline. Often, the chaplain of the prison, another product of America’s intertwined history of prisons and faith, can forbid groups to meet if an outside volunteer cannot be found to run the group. Religious volunteers who live close to prisons, most of which are located far outside urban areas, tend to be Protestant Christians. “Faith,” at first glance, appears to be an innocuous or neutral term, but in prison ministry, it most often stands for a Protestant form of Christianity. In many states, nondenominational Protestant Christians make up more than 85 percent of the volunteers who enter the prison. These statistics include the vast numbers of religious volunteers, working under the supervision of primarily Christian chaplains, who, throughout the day, regularly conduct worship services, Bible studies, and classes in prison chapels. The geographic reach of evangelicals in prison is a phenomenon of the past several decades, when mainly conservative churches began to view prisons as a mission field. The faith-based presence in the American prison system is a religious movement spurred by the belief that the conversion and salvation of the individual is also the salvation of the prison system itself. Faith-based volunteers and ministries provide something that has always been the bottom line of the punishment industry in the United States: they save money. With the evisceration of social services outside the prison, and the subsequent dismantling of mental health care and college education in the prison, the corps of free labor drawn from conservative, nondenominational, faith-based groups has filled the void created by budget cuts, stepping in to do the work of the state. As access to educational, vocational, and recreational programming that is secular, non-Christian, or even mainline Protestant has diminished, Christian ministries like Prison Fellowship, Kairos, and Horizons have flourished within American prisons. In the prison where boredom and lethargy reign, faith-based groups provide some of the only available programs. They frequently administer everything from trauma counseling to Bible studies, GED preparation, mental health services and housing and reentry services. The Baptist seminary in LCIW, where Rodney resides, isn’t exceptional. There are prison seminary college programs in Louisiana, Texas, California, Georgia, Illinois, Michigan, Mississippi, New Mexico, Tennessee, and West Virginia. According to the Office of Justice Programs, almost all US prison systems offer faith-based worship services, and 93 percent also offer prayer groups. In Florida, the state has created eleven “faith and character” or faith- and character-based institutions (FCBIs), entire prisons where religious volunteers administer classes, study groups, and educational programming. Evangelical groups like Prison Fellowship have over twenty thousand volunteers and oversee evangelical programs in 334 US prisons, jails, and detention centers. Prison Fellowship also operates a twenty-four-hour evangelical program in entire wings of state prisons. Kairos Prison Ministry and Horizon Prison Initiative, two other evangelical prison ministries that have been active since the 1970s, run faith-based dorms and retreats in federal and state prisons. “Being incarcerated in Texas is a heck of an experience you know,” Rodney says. “So you got to make the best of it.” Darrington, he explains, is decrepit, and people are disrespectful. “I have been here my whole life, basically, so I need something to fall back on, you know. . . . What else is there for me to do while I am incarcerated? I cannot work; we do not get paid for working. I cannot go to college, because I do not have the money to pay for it. So, this is the best thing going.” Rodney describes a hypothetical situation in which a Christian and Muslim debate, and the Muslim is “very sharp in understanding what he believes in and how to apply that,” whereas the Christian is “not as crisp as he is.” Speaking in the third person, Rodney explains that the Muslim is able to apply history and tangible proof for his beliefs, while the Christian simply relies on his faith. He intimates that it creates a problem with the professors and the students. “So this is a stepping stone for me. I am not using it as a platform, but I am using it because it is the best option for me right now. And I think any thinking person will, in my position, do the same. Eat the meat and throw the bones away,” he says. Rodney says he longs for more intellectual discussion and less preaching. He is frustrated by the fact that people in prison cling to their own religious certainty and lack curiosity about others. He would prefer a more open educational space where the premise is to question and learn. The lack of books about and educators from other religions means students understand Christianity as the norm and everything else as an exception or aberration. In one seminary class, the teacher asked the students, “How many of you were exposed to spurious belief like Wicca?” A muscular white man with a goatee and tattoos strode to the lectern and proceeded to sermonize about Wicca as brainwashing. He said he was exposed to Wicca and to Aleister Crowley, a famous British practitioner of a religious movement that combined beliefs about the occult, sexuality, magic, and paganism. With each of his statements about Wicca, most of them exaggerations, there were audible gasps of disbelief from the students in the room. Supporting religious diversity in prison doesn’t address the role of religious groups within a deeply unjust system. Faith-based ministries are often concerned with salvaging individual souls, rather than asking why a person is in prison in the first place or why there are hundreds of prisons in Texas. 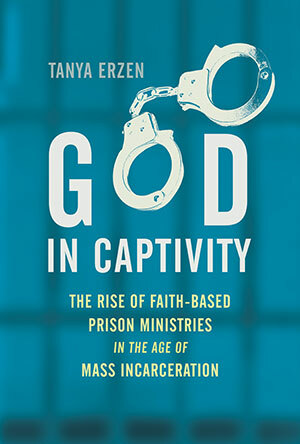 Many faith-based ministries believe that prisons are necessary for religious awakening to occur; prisons are where punishment is just and necessary to encounter God and oneself. Proselytization often supersedes the responsibility to create and support a more just society. Despite his laments about feeling isolated in the program, Rodney’s outsider status provides him with the ability to think more critically about religion and the prison in general. He discusses how meeting different people did not close him off, but enabled him to constantly grow and change: “It blessed me with the opportunity to step outside of my own lenses to look at it through your lenses, you see. And from this I have a better understanding of who people are.” He’ll graduate this year, but he still has decades left to serve on his sentence. Tanya Erzen is an associate professor of religion and gender studies at the University of Puget Sound and the executive director of the Freedom Education Project Puget Sound, a nonprofit that provides college education for incarcerated women. A former Soros Justice Media Fellow, she is the author of Straight to Jesus, Fanpire, and Zero Tolerance.